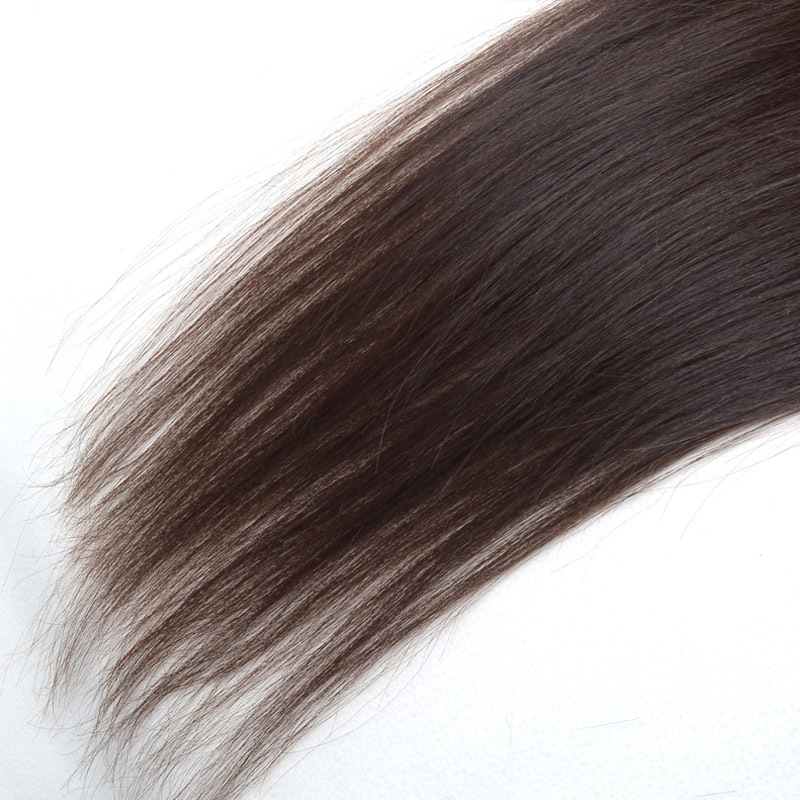 Clip-in hair extensions are a cheap,comfortable and easy way to achieve the illusion of long,flowing locks. Read this article for instructions on how to use them. 1:Match the extensions to your real hair. Hair extensions should blend in with your natural hair,meaning that they should be both the same color and the same texture/style. If the extensions are wavy or curly,use a curling iron to curl your natural hair. If the extenions are pin-straight,then use a flat iron to achieve the same sleek appearance.Protect your hair from the potential damage of hot styling tools by applying a dime-sized amount of a heat-protecting product like Argon oil prior to styling. 2:Divide your hair into two sections. Use your finger or comb to draw a horizontal line from your right temple to your left temple,sectioning off the top part of your hair and securing it with a hair tie or hair clip. If your hair is very thin,use a comb to gently tease the lower half of your hair in one-inch sections. This will help keep the extensions securely in place. 3:Open the clips on your extensions. Align the tops of the hair extensions with the horizontal part your have made,and gently push down to snap the clips into place. 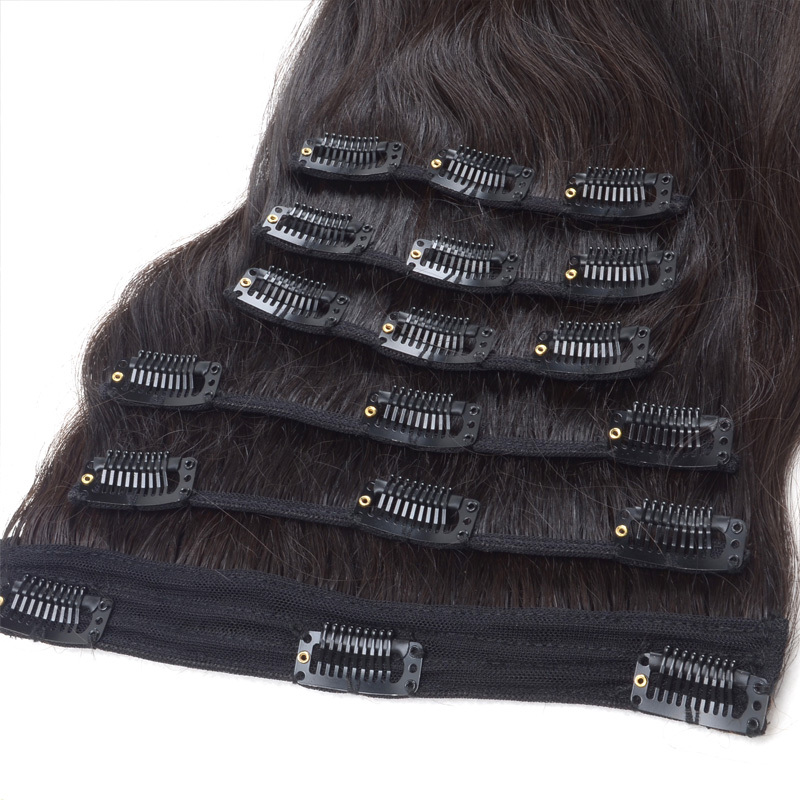 Some clip-in hair extensions come in one large piece,while others come in multiple smaller pieces. If you are using multiple clip-ones,then attach them one-by-one,making sure that you evenly distribute them along the part in your hair. If your clip-in is one large piece,then start by fastening the ipper row of clips near your part,eventually working your way down to the lower clips near the nape of your neck. Release the top section of your hair. 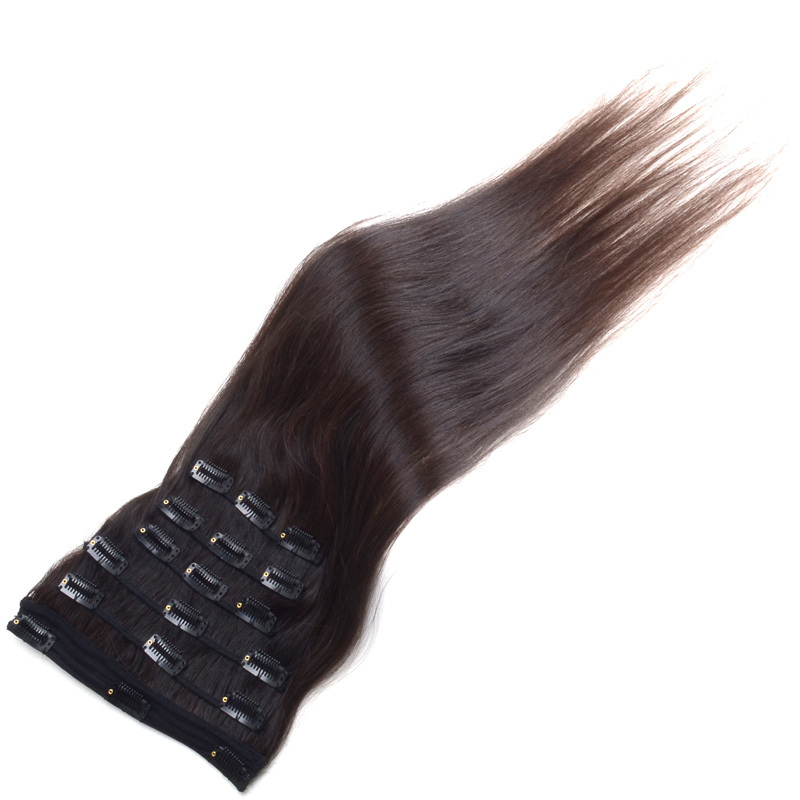 Gently tousle to blend your natural hair with the clip-in extenions. Enjoy!